LOS ANGELES— Runic Films and Blue Seraph Productions are proud to announce that Cowboy Creed has been made an official selection of the 9th Annual Action On Film International Film Festival. On Tuesday, August 20th, during the 6:15pm short film block, the AOF International Film Festival will screen Cowboy Creed at the Krikorian Premiere Theatre, 410 S. Myrtle Ave, Monrovia, CA. The AOF International Film Fest, now in its ninth year, features top works of action, as well as comedy, drama, romance, horror, and documentaries. “We’re all really excited about screening at AOF. The production and post teams put in a ton of great work and we’re glad to be an official selection of the fest,” said Cowboy Creed writer/director Ben Alpi. Cowboy Creed stars Kendall Wells, John Carrigan, Tara Platt, and Anthony De Longis as Sheriff Eli Graves. Shot entirely on S16mm film, Cowboy Creed is a special blend of elements from all eras of the Western motion picture tradition. Written and directed by Ben Alpi, its heroic themes, drama, and action, make it a short film of epic proportions. Alpi worked closely with producer JT Tepnapa and cinematographer David Berry to complete filming in Santa Clarita, CA with a team comprised of over thirty cast and crew. “We’ve had three private screenings in Hollywood, CA, St. Petersburg, FL and in Kent, UK and many of our viewers have said Creed feels like a feature film. That’s fantastic because I really wanted to make a short that is more than the sum of its parts,” remarked Alpi. When an international criminal nick-named “Limey” (Carrigan) shoots down Sheriff Eli (De Longis), it’s up to young cowboy Phineas Creed (Wells) to save the lawman’s daughter, Miss Graves (Platt). Set in the desperate times following the California Gold Rush, Cowboy Creed follows Phineas as he chases down the murderous Limey leading to the most harrowing showdown of Phineas’ life. 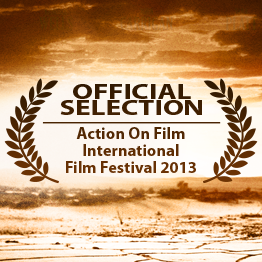 Don’t miss Cowboy Creed at the Action On Film International Film Festival! Tuesday, August 20, 2013, 6:15pm block at the Krikorian Premiere Theatre, 410 S. Myrtle Ave, Monrovia, CA 91016. For more about the festival which runs from August 16-24, visit http://aoffest.com and to purchase Cowboy Creed screening tickets click here! Runic Films is a production and entertainment company which develops original properties for film, television, and the Web. Now located in Los Angeles, Runic was founded by two brothers in New York state, and is dedicated to upholding the rich traditions of storytelling. Runic Films harnesses cutting-edge technology and visual effects to create amazing worlds for dramatic tales grounded in humanity.